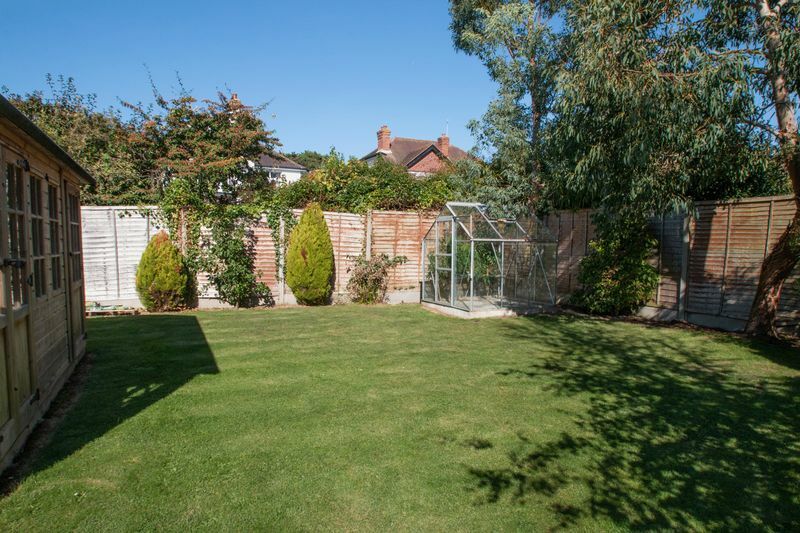 Stunning extended detached property with-in short walk to Aldwick beach and shops etc.. 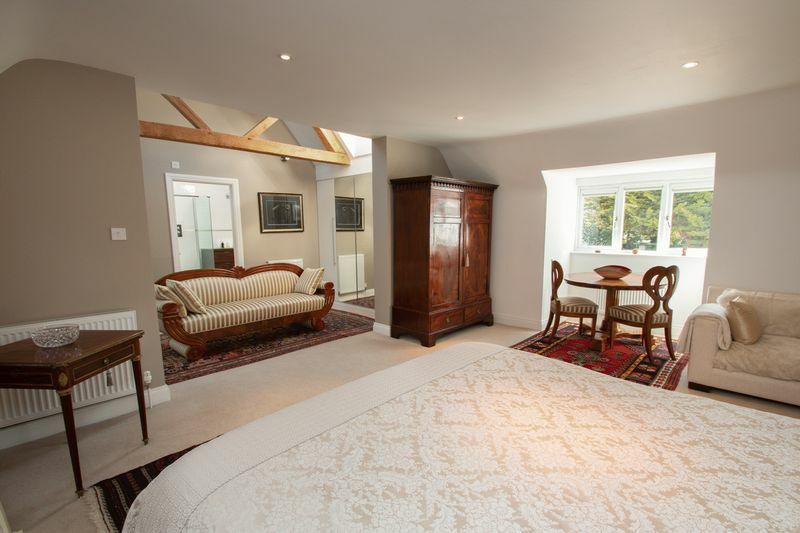 Spectacular master suite with walk through dressing area and luxury en-suite. 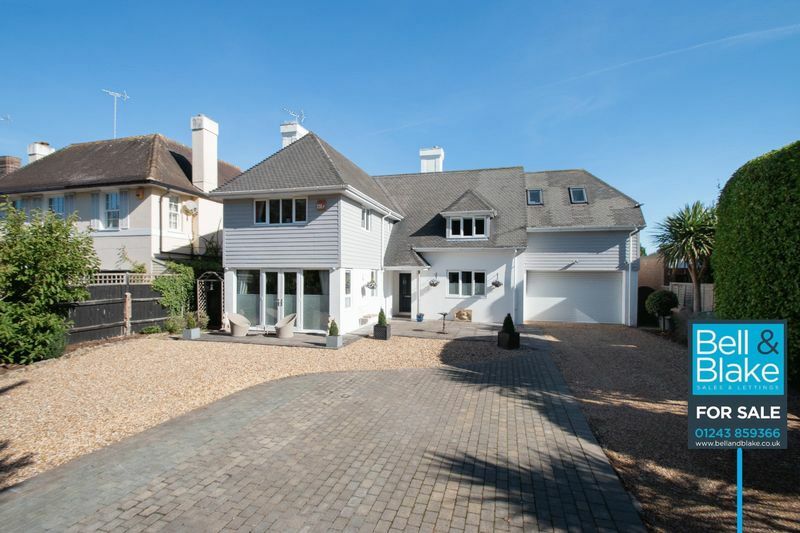 Stunning 'landmark property' situated on a generous plot of just over a fifth of an acre, with large gated private driveway to the front and double integral garage. 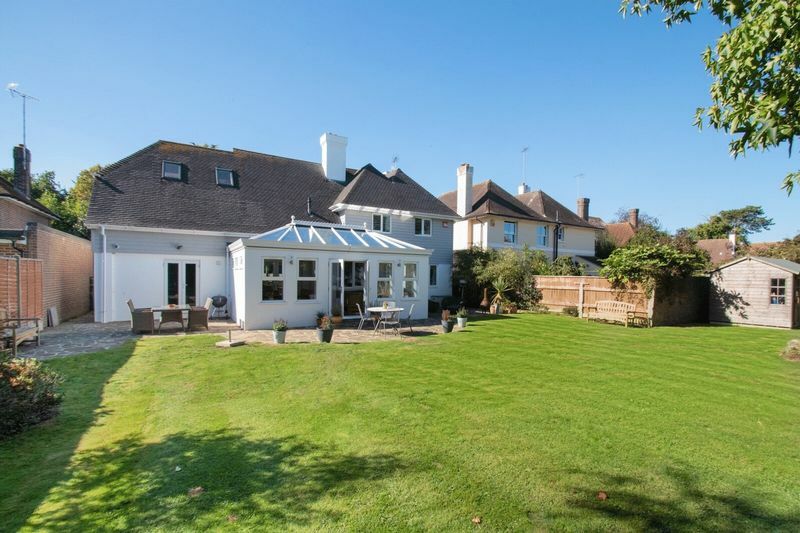 The property is just a short walk to Aldwick beach, shops and restaurants and approximately 6 miles to Chichester. 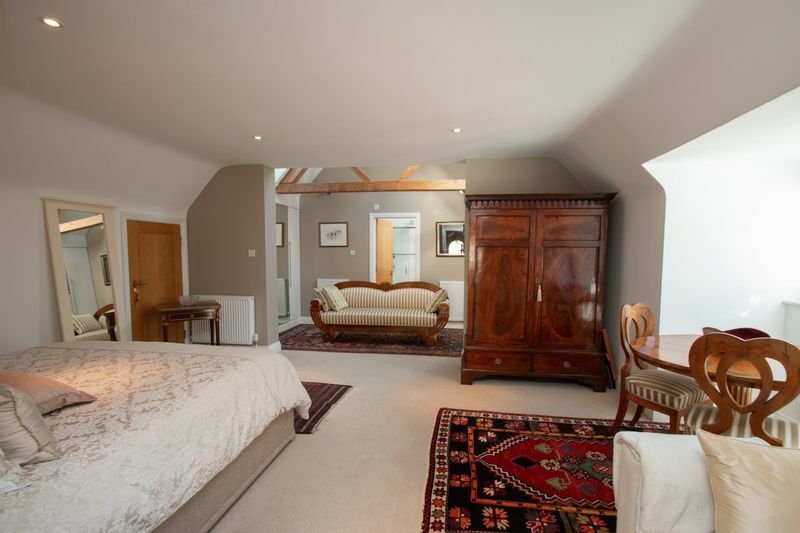 There is a spectacular master suite with walk-through dressing room and en suite. 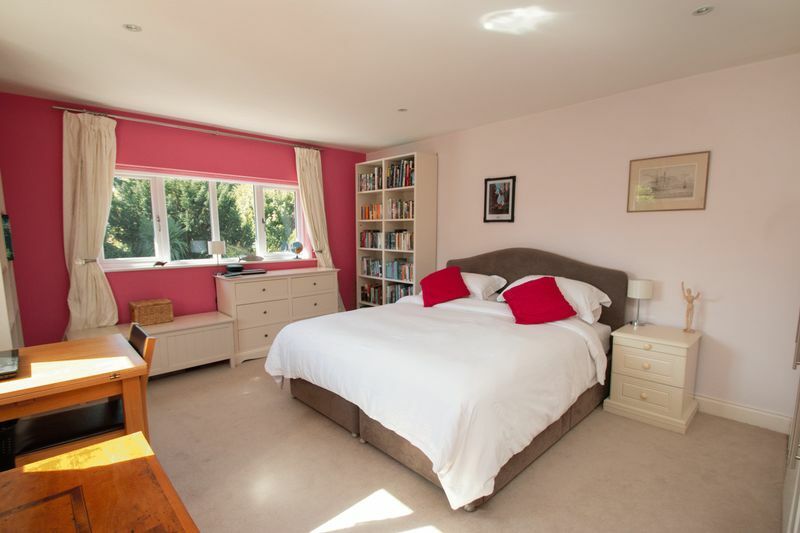 3 further double bedrooms and family bathroom to the first floor. 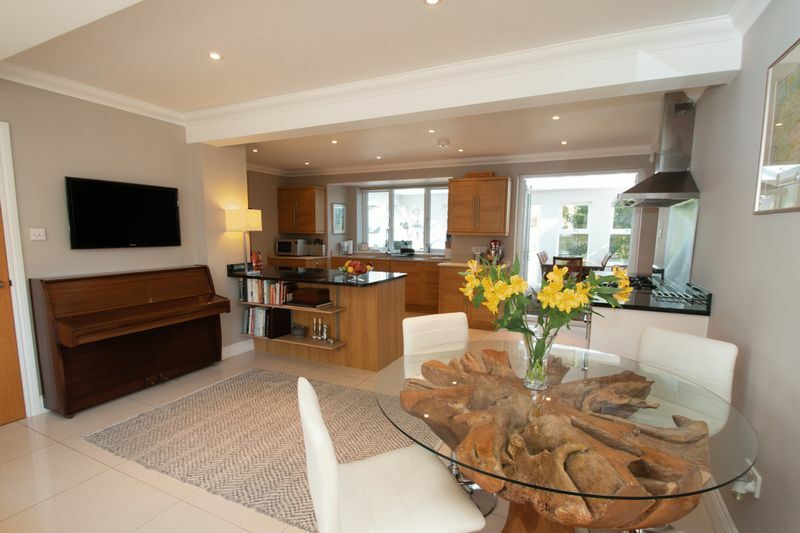 To the ground floor there is a triple aspect open plan kitchen dining family room leading on to a fantastic orangery, a triple aspect living room, a study, down-stairs WC and utility room. 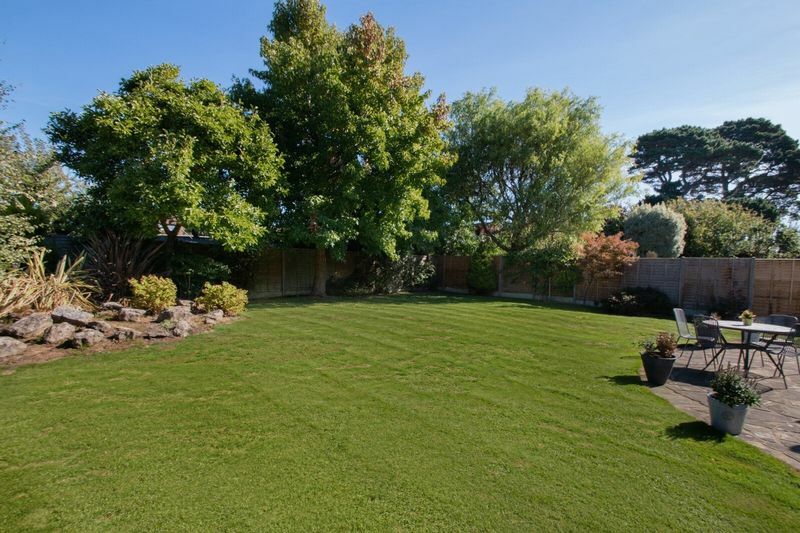 Outside there is a well proportioned landscaped rear garden. 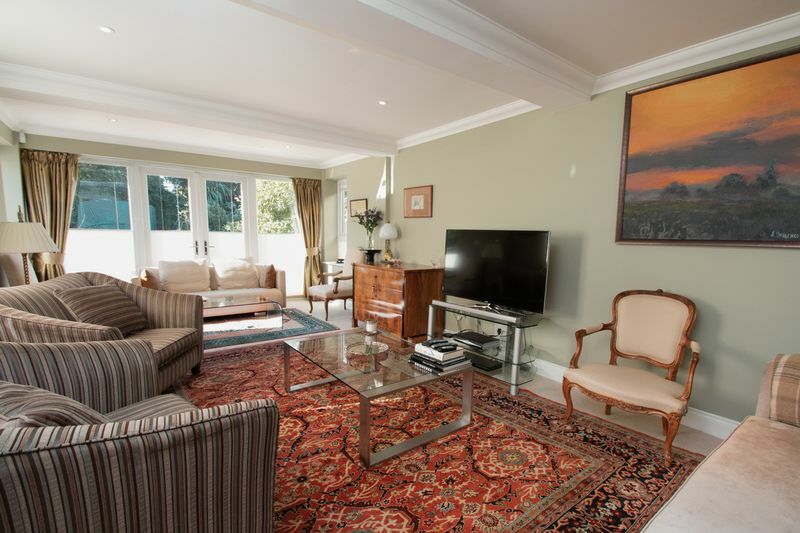 An internal viewing is a must to appreciate all the property has to offer. Covered welcome porch with supported by a feature stainless steel column, with motion sensor activated lighting, tiled floor and door to entrance hall. 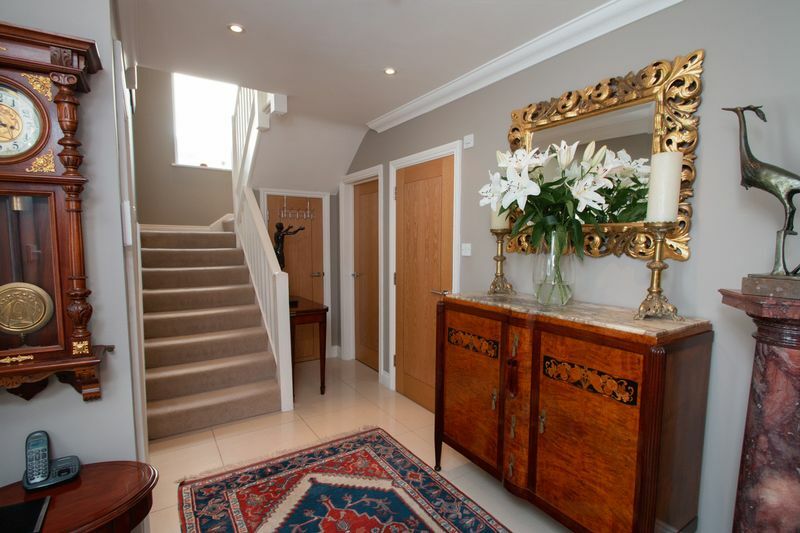 Entrance hall has skimmed and coved ceiling with inset down-lighters, radiator, under-stairs storage cupboard and porcelain tiled floor. 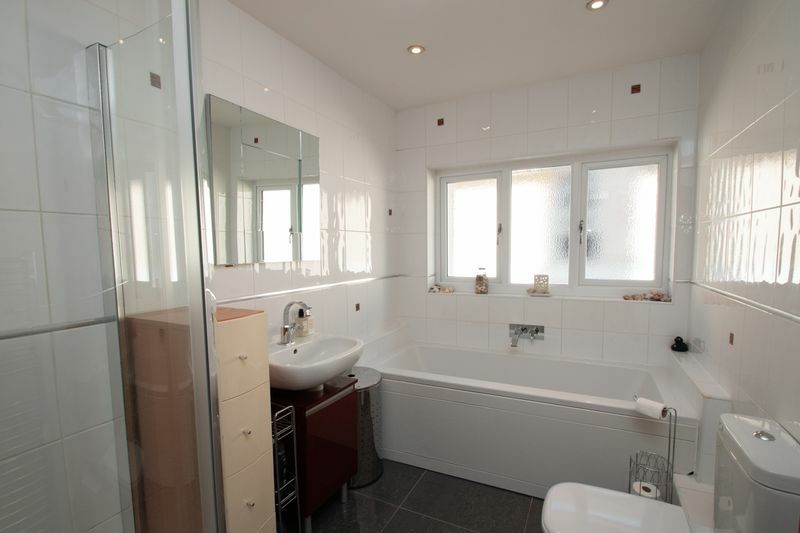 Skimmed and coved ceiling with inset down-lighters, extractor fan, low-level WC, wash hand basin on vanity unit with mixer tap, porcelain tiled floor and chrome heated towel radiator. 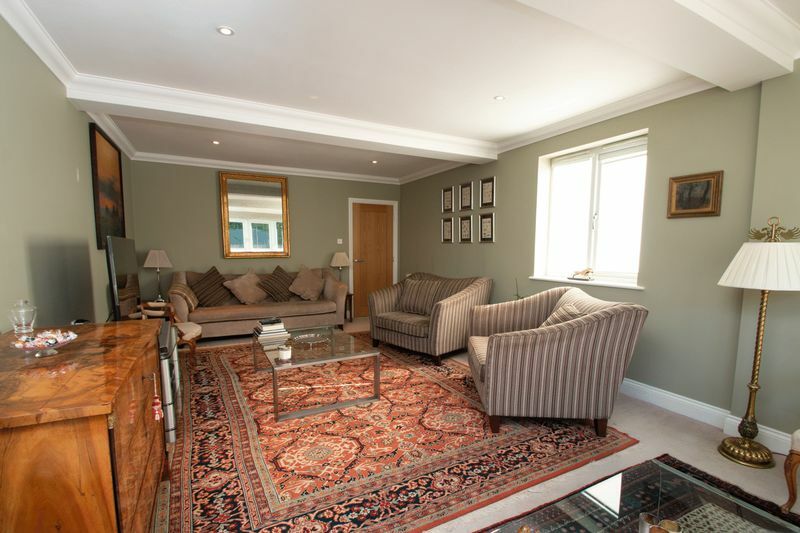 Triple aspect with double glazed windows to the front side and rear with double glazed french doors leading to Orangery. Skimmed and coved ceiling, inset down-lighters and porcelain tiled floor throughout. 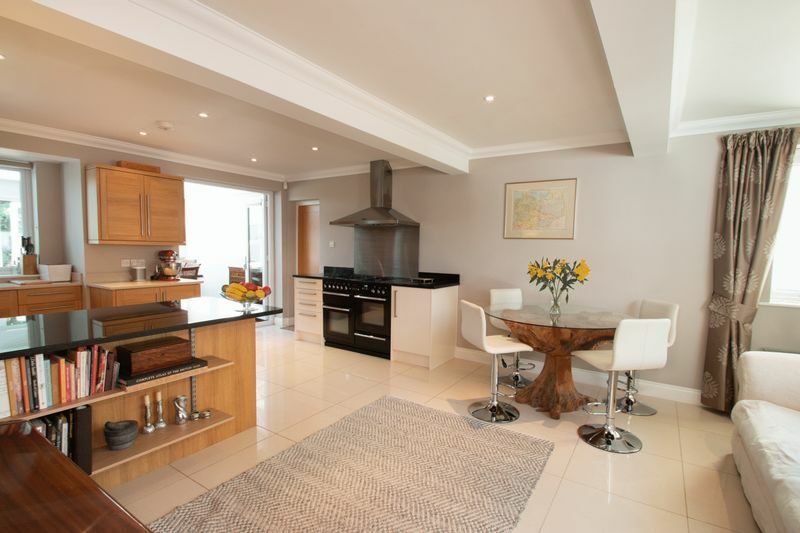 In the Kitchen area there are contemporary wall and base level units with quartz and granite worktops, 1 bowl sink with mixer tap and drainer set in to quartz, range cooker with extractor over, integrated dishwasher and radiator. 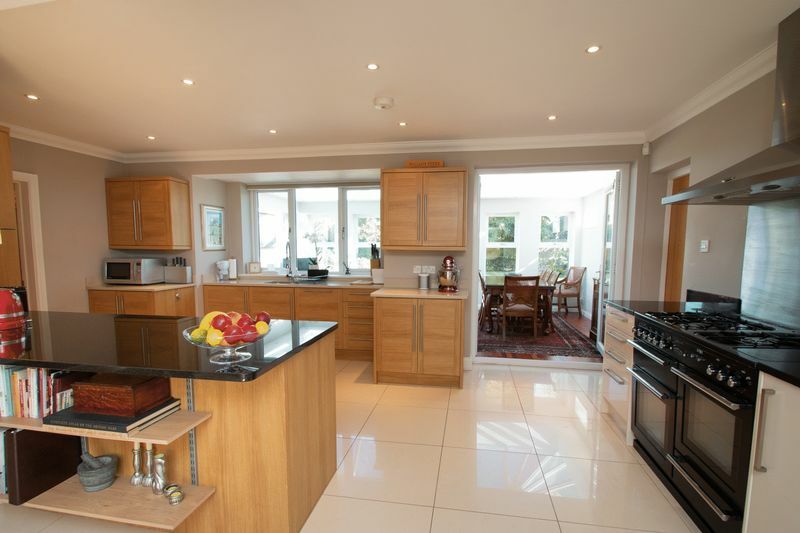 There are doors to utility room, orangery and integral double garage. Double glazed window to rear aspect, skimmed ceiling plumbing and space for washing machine, tumble dryer and american style fridge freezer. 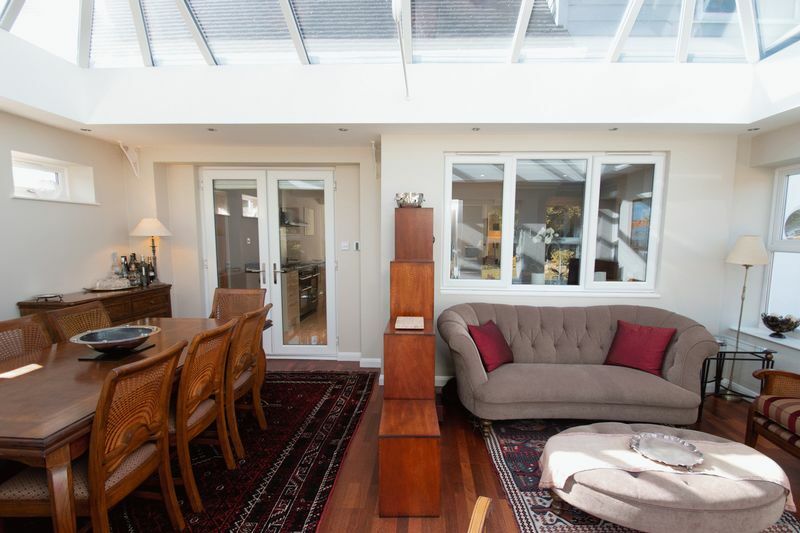 Triple aspect with double glazed window to the front and both sides, double glazed French door to front patio, skimmed and coved ceiling with inset down-lighters and radiator. Double glazed window to rear aspect, skimmed and coved ceiling with inset down-lighters and a wall mounted radiator. 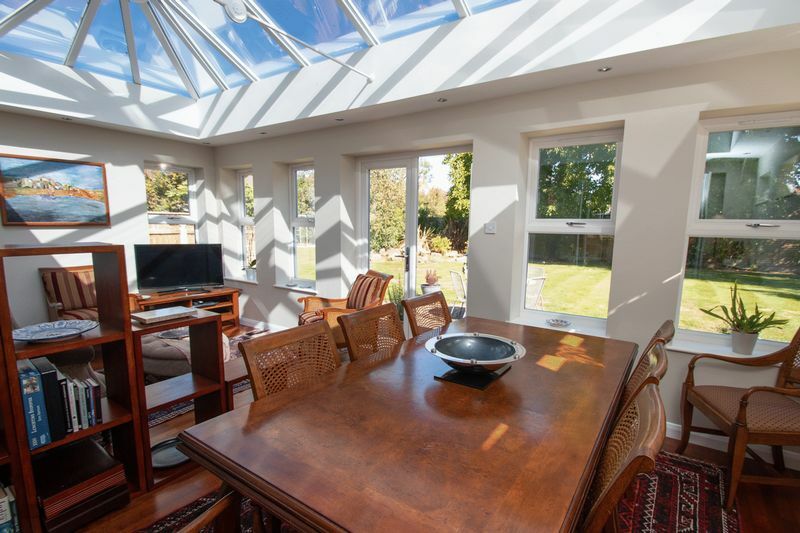 Triple aspect with double glazed windows rear and both side aspects, double glazed sky lantern and french doors to rear garden. 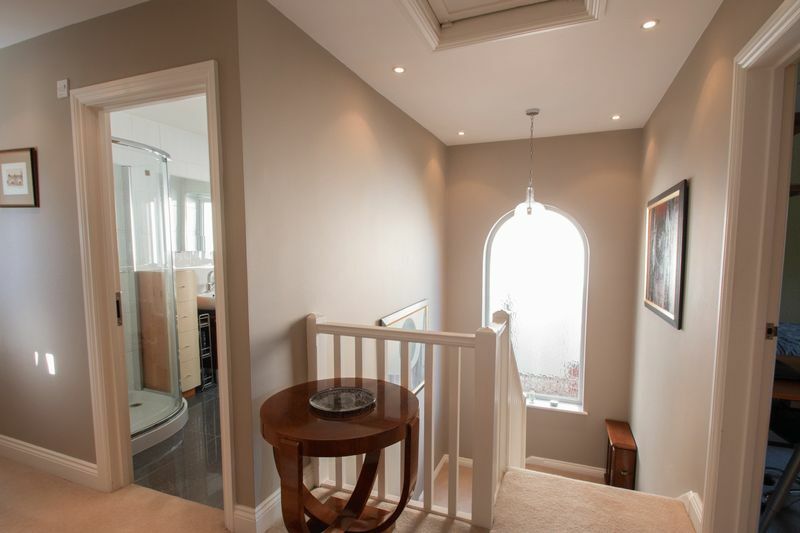 skimmed ceiling with inset down-lighters, wood flooring and under-floor heating. Insulated remote controlled roller door to the front, double glazed french doors to rear garden and door from Kitchen area. 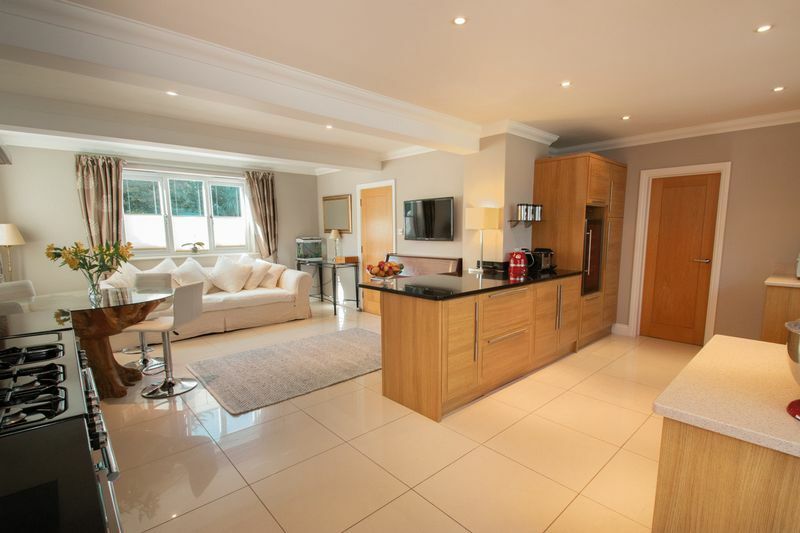 Skimmed ceiling, power, light and tiled floor. 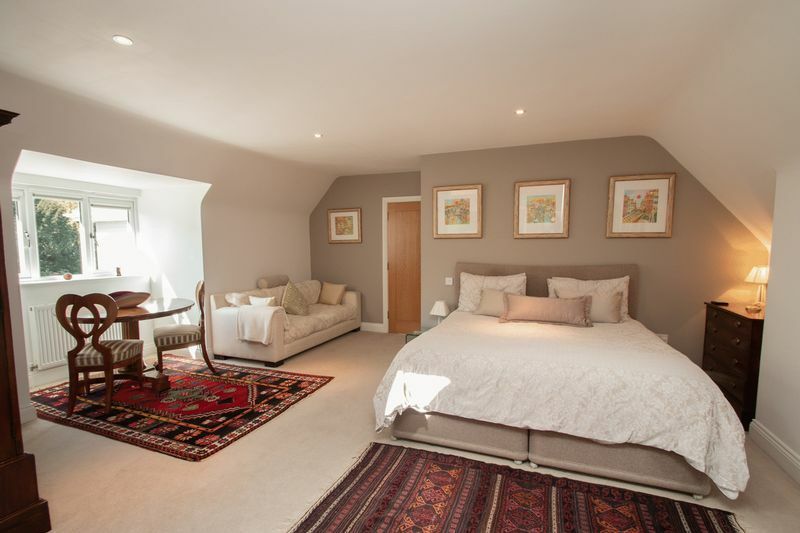 Feature arched double glazed window to the side, gallery landing area, skimmed ceiling with inset down-lighters, loft access hatch, radiator and airing cupboard. 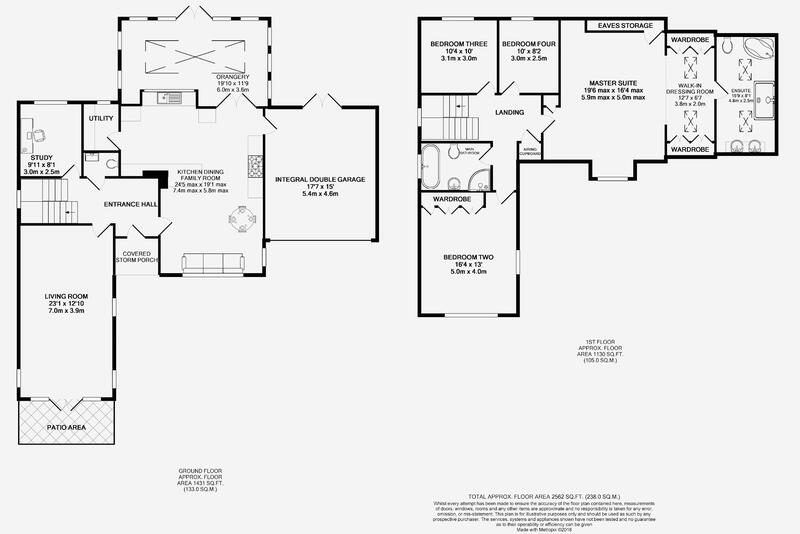 Fabulous Master suite with walk through dressing area and spectacular ensuite bathroom. 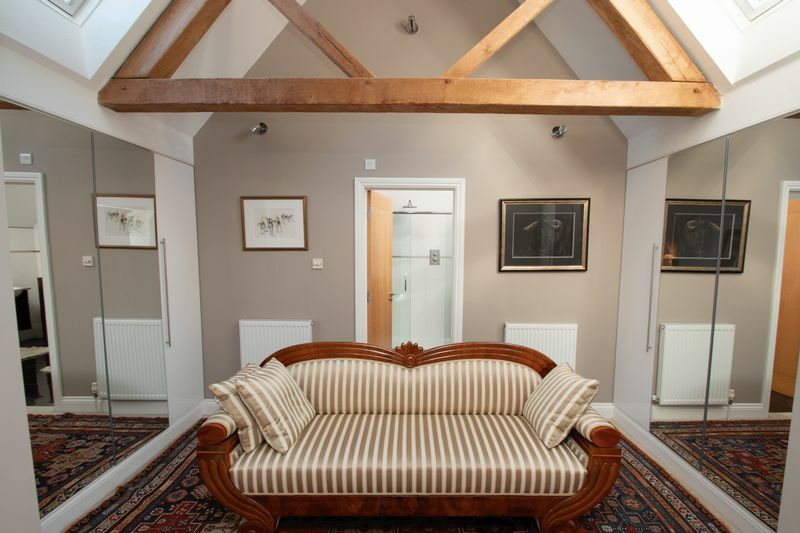 The bedroom has double glazed window to front aspect, skimmed ceiling with inset down-lighters, enough space for a sofa and table, eaves storage cupboard housing boiler wall mounted radiator x 2 and opening to Walk through dressing area. 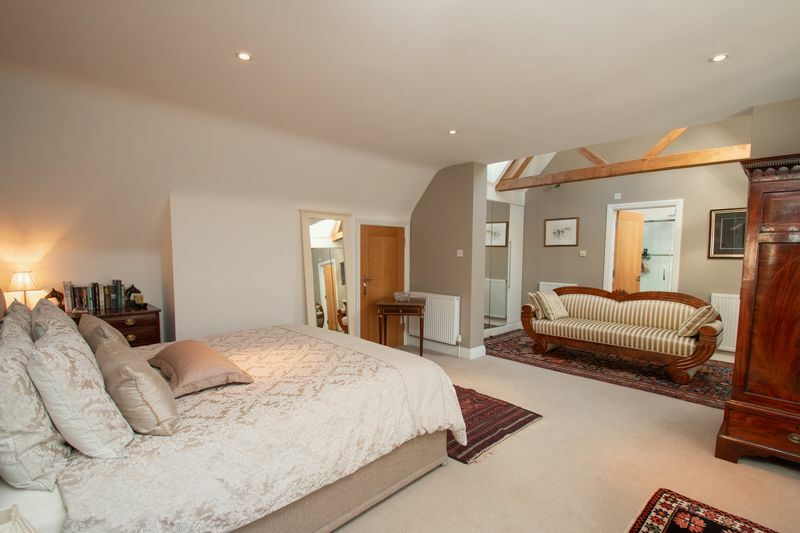 Vaulted skimmed ceiling with exposed oak beams and velux windows to the front and rear. 4 door fitted wardrobes to each side, radiators x 2 and door to ensuite. 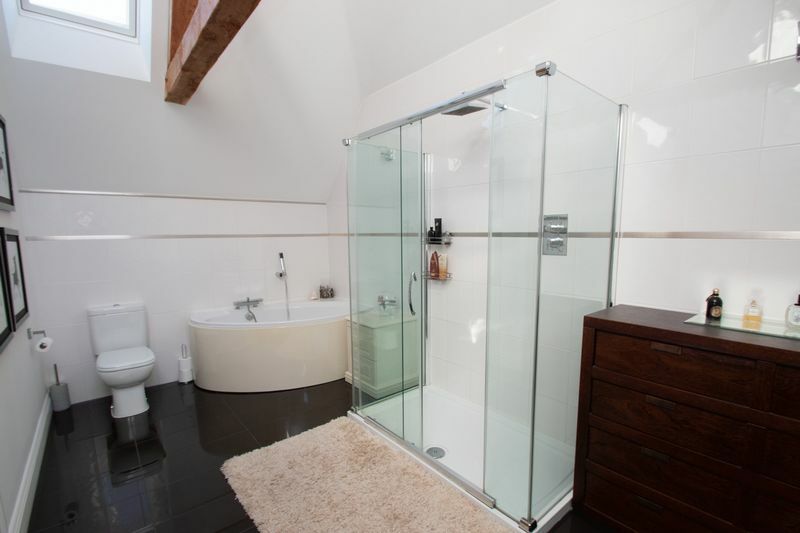 Vaulted skimmed ceiling with exposed oak beams and velux windows to the front and rear, corner bath, large walk-in shower, 2x wash hand basins on vanity unit, shaver point, heated towel radiator, low-level WC, tiled walls in principle areas and fully tiled floor. 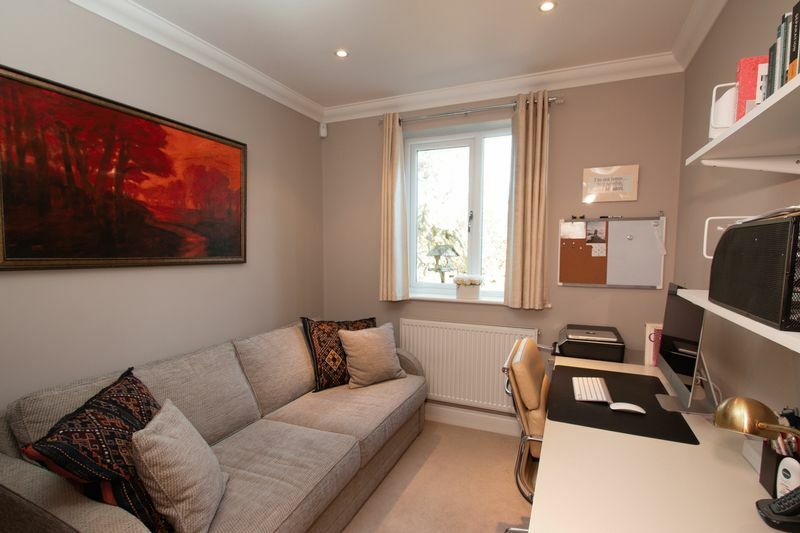 Dual aspect with double glazed windows to the front and side, skimmed ceiling with inset down-lighters, radiator and five door fitted wardrobe. Double glazed window to rear aspect, skimmed ceiling, inset down-lighters, radiator, TV point. Double glazed window to rear aspect, skimmed ceiling, inset down-lighters and radiator. 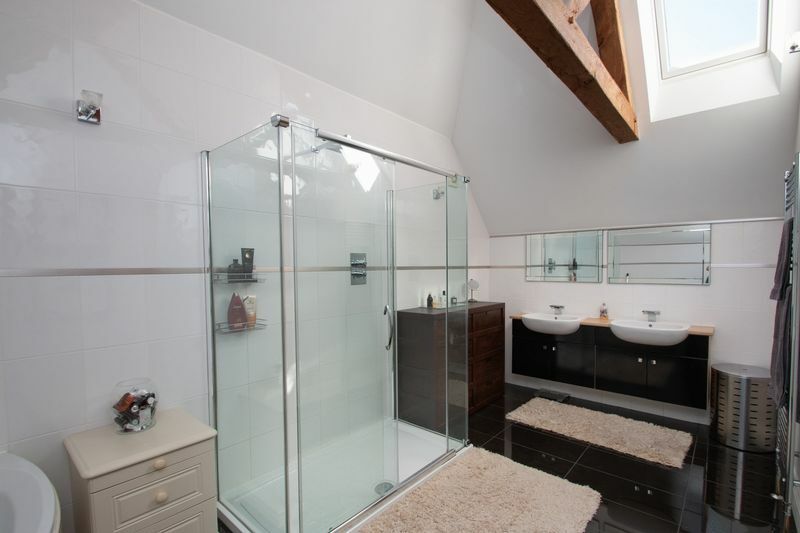 Double glazed obscure window to side aspect, skimmed ceiling, inset down-lighters, panel enclosed bath with mixer taps, low-level WC, modern vanity sink unit with mixer tap, corner walk in shower cubicle with mixer shower and detachable shower head, heated towel rail, fully tiled. 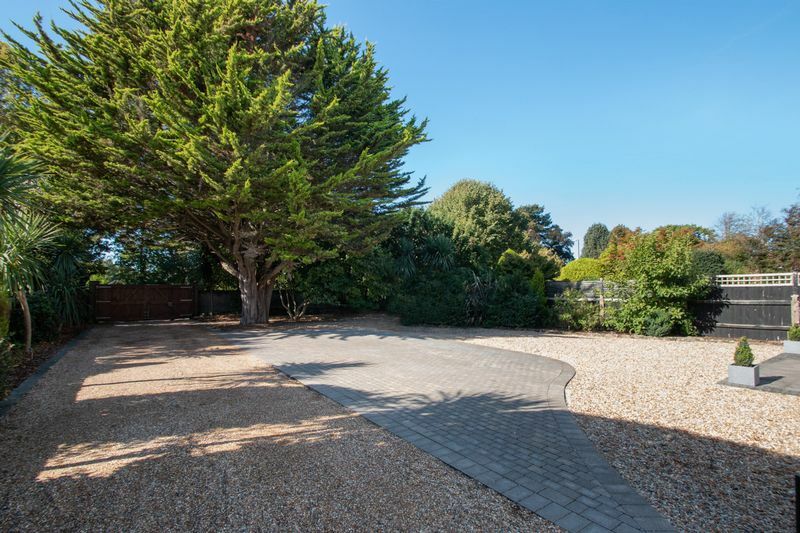 Substantial gated front driveway and garden landscaped with block paving, shingle, patio and mature shrubs and trees, walled boundary with double gates to the front and side access to rear garden. 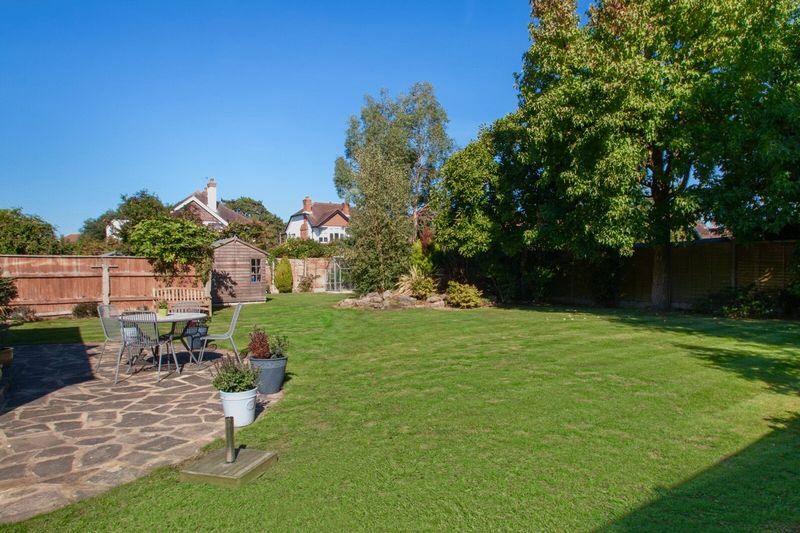 Beautifully landscaped rear garden is mainly laid to lawn with a patio area as well as a raised decked area and an ornamental rockery.